An elderly man from Hull has confounded doctors by recovering after he was officially declared dead. She confounded her critics by winning the race. The singer confounded her critics with a remarkable follow-up album. She was desperate for news of her family. They are desperate for help. Why are people so obsessed with money? The kids are obsessed with video games. An obsessed fan tried to kill him. 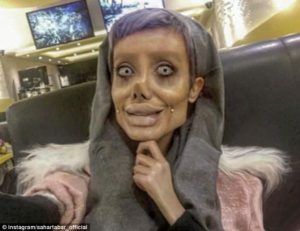 Belgian media has reported that Sahar has undergone 50 procedures to look like her idol – but fans claim she creates the incredible looks just by using make-up and clever prosthetics. However not all of the feedback from her 318,000 Instagram followers is positive, with some likening her to a ‘zombie’ or a ‘corpse’. These animals have razor-sharp teeth. He’s got rather plump since I last saw him. Petra usually just pouts until she gets what she wants. Vanessa always pouts if she doesn’t get what she wants. Caroline pouts her lips when she’s putting on lipstick. Our four-year-old pouts whenever she doesn’t get what she wants. She didn’t say anything but I could tell from her pout that she wasn’t very pleased. He tried, albeit without success. 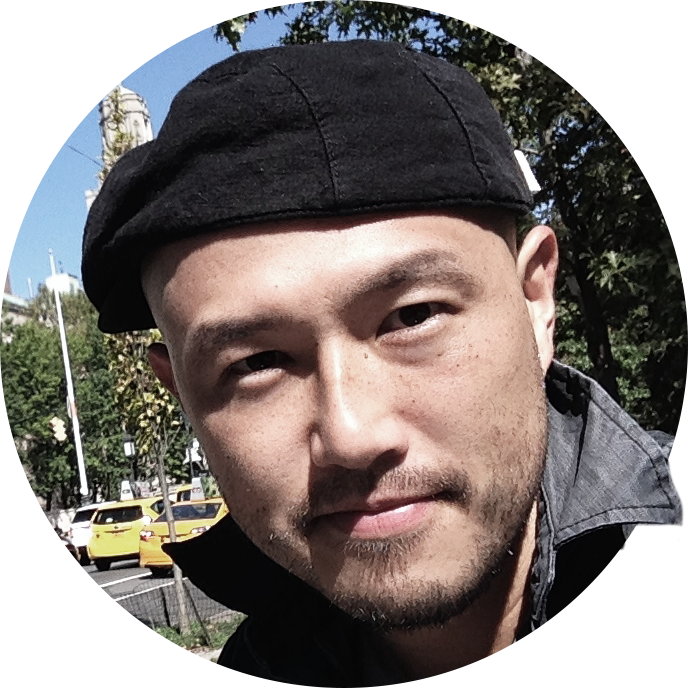 The nation is adapting, albeit slowly, to the new global economy. The United States finally agreed, albeit unwillingly, to support the UN action. She‘s been likened to a young Elizabeth Taylor. His works have been likened to those of Beckett. 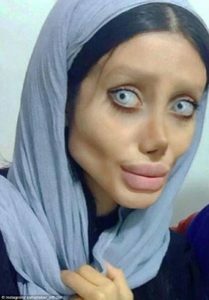 Sahar’s followers have posted to say she looks like a ‘zombie’ and said her pictures make them ‘feel sick’. It all happened in the space of ten minutes. In the space of 36 hours, I had travelled halfway round the world. She is the author of three books and numerous articles. The report contains numerous errors. He had numerous other duties apart from teaching. Good visuals and diagrams are the magazine’s most distinctive features.